If you are about to do a project involving a Raspberry Pi, and don’t need the luxury of 4 cores and 1 gig of RAM that comes with the Raspi 2, you could save some money by sticking to the good old model B+. 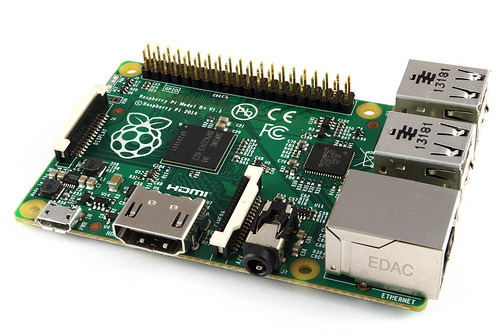 It has been announced that the price of the Raspberry Pi B+ is now adjusted $10 down from $35 to $25 retail price. This adjustment is definitely necessary if the good old model B+ is to keep selling, as most sane people would choose the newer Raspberry Pi 2 over the old B+ any day, as long as they were priced equally. For many home and DIY projects, the 4 cores will never be fully utilized, and only a few megabytes of RAM will be needed. Well, at least not for the kind of projects where the Raspberry Pi serves as an overkill replacement for an Arduino. If you are using the desktop environment of the Pi, though, you may be very grateful for the extra cores. But if you are juggling around in the terminal only, you may want to consider if you really need all that extra processing power. Anyway, the new flagship Pi definitely broadens the performance and price range available, making the Raspberry Pi lineup ever so appealing to the DIY crowd. By Mikkel at October 31, 2015 .